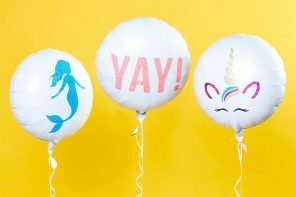 Throwing a princess party? 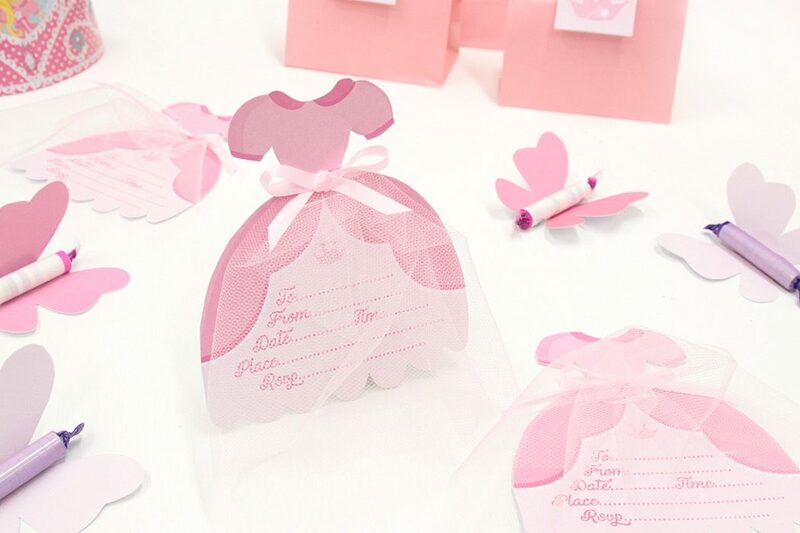 Try your hand at making our free printable princess party invitations – complete with tulle skirts to make them look like real dresses! 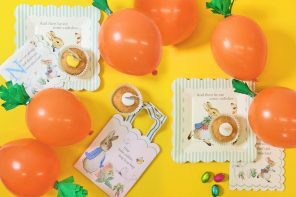 This easy DIY invitation doesn’t take long to make and would be the perfect addition to any of our princess party ranges (plus it’s great for keeping the cost of your party down!) Read on to find out what to do. 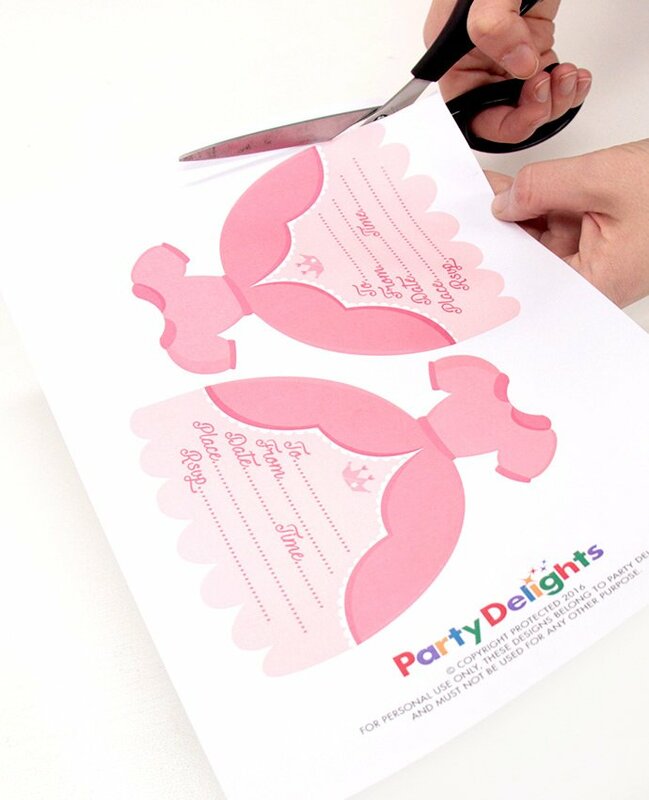 Start by printing out our free printable invites (one for each guest) and cut them out. 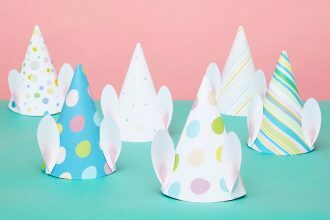 You can make your invitations a bit sturdier by printing them on card or sticking onto a piece of cardboard before you cut them out. 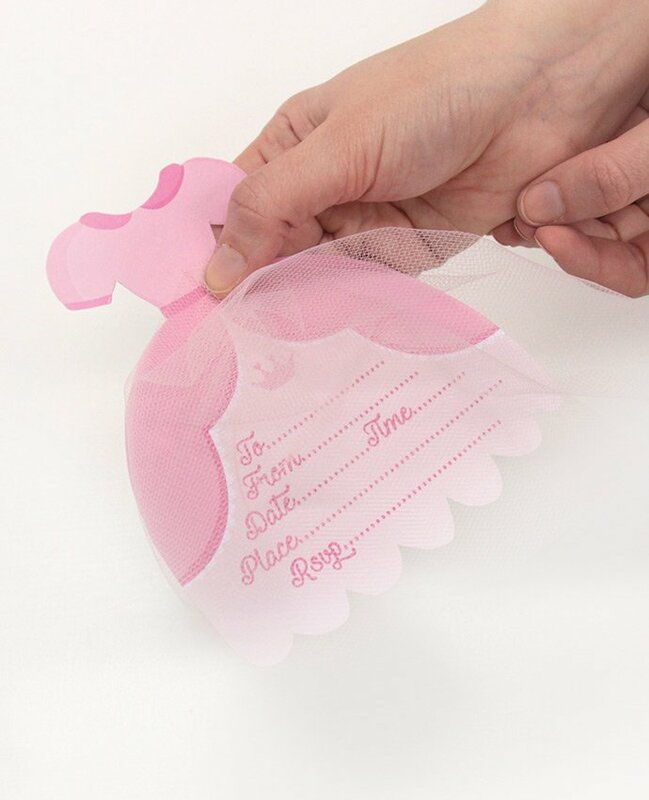 Top tip: Fill out the invitations now before you attach any tulle. 2. 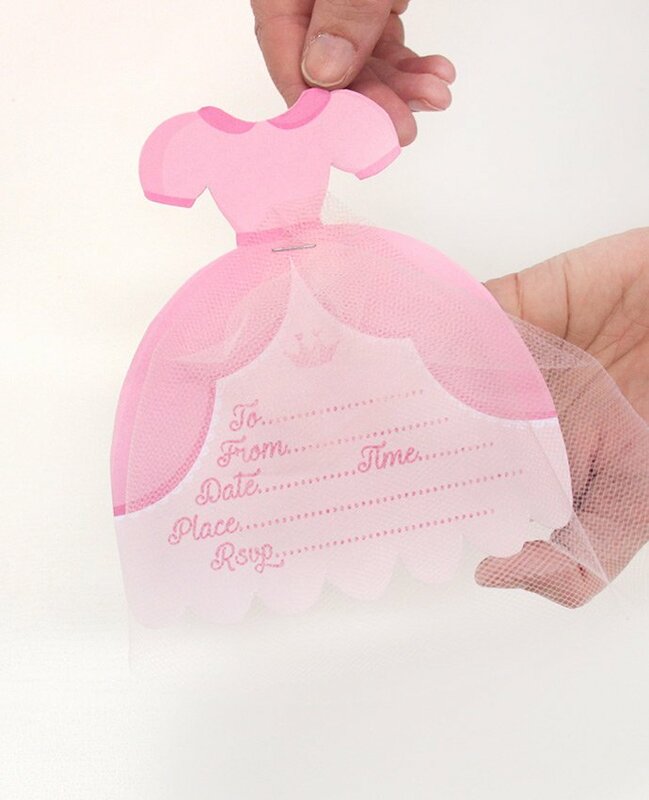 Next, cut out some rectangular pieces of pink tulle to make the dress part of your DIY princess party invite. 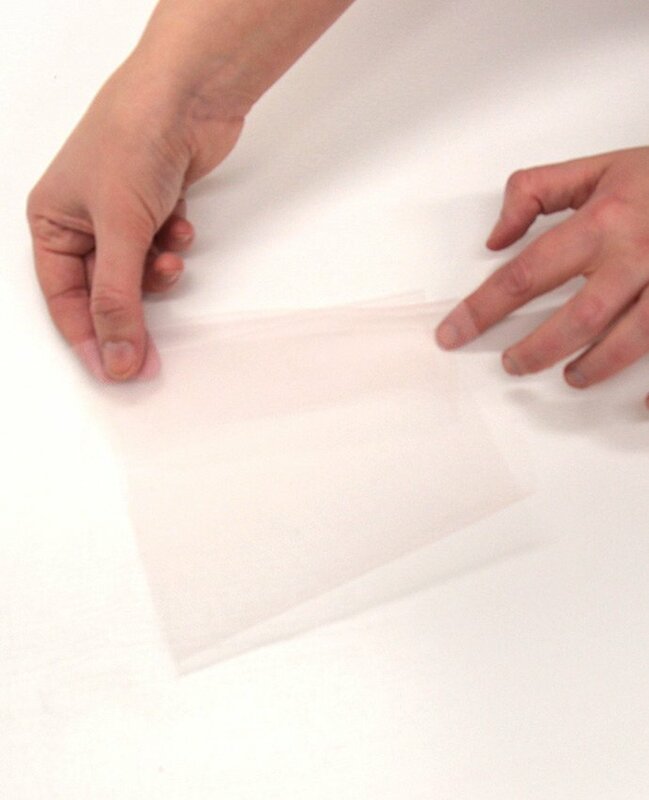 … And gather it together along one of the edges (to bunch it up into the shape of a skirt). 3. 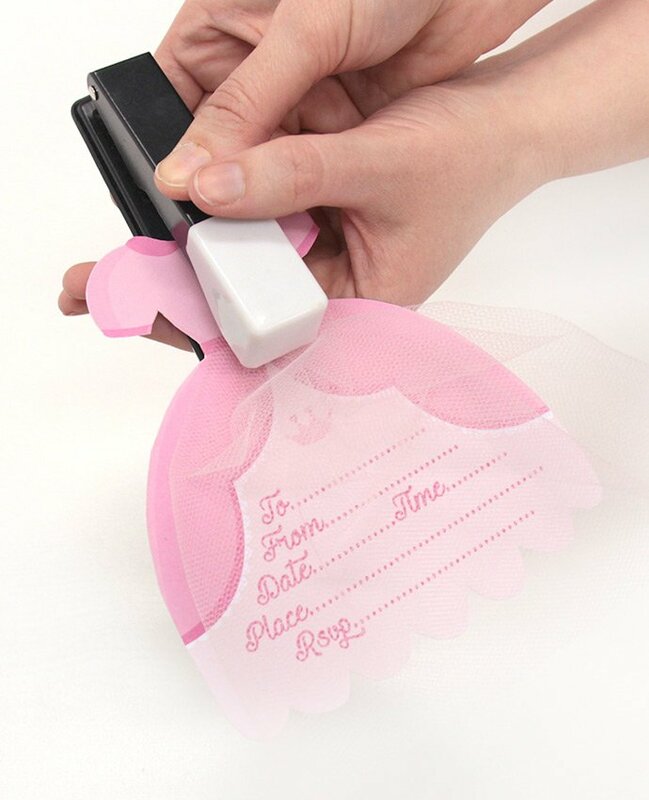 Next, attach a tulle skirt to the printable invitation. 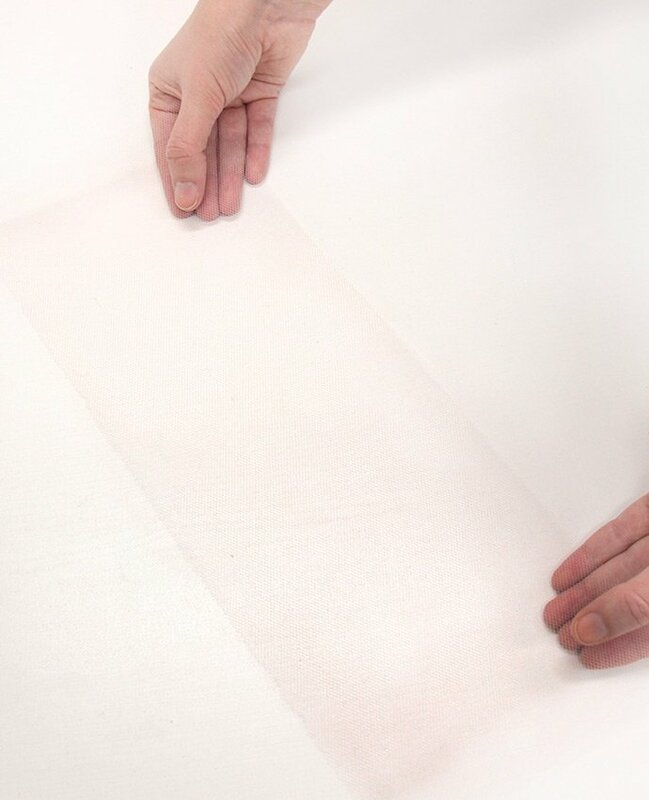 The easiest way to do this is with a stapler and it might help to have an extra pair of hands at the this stage. 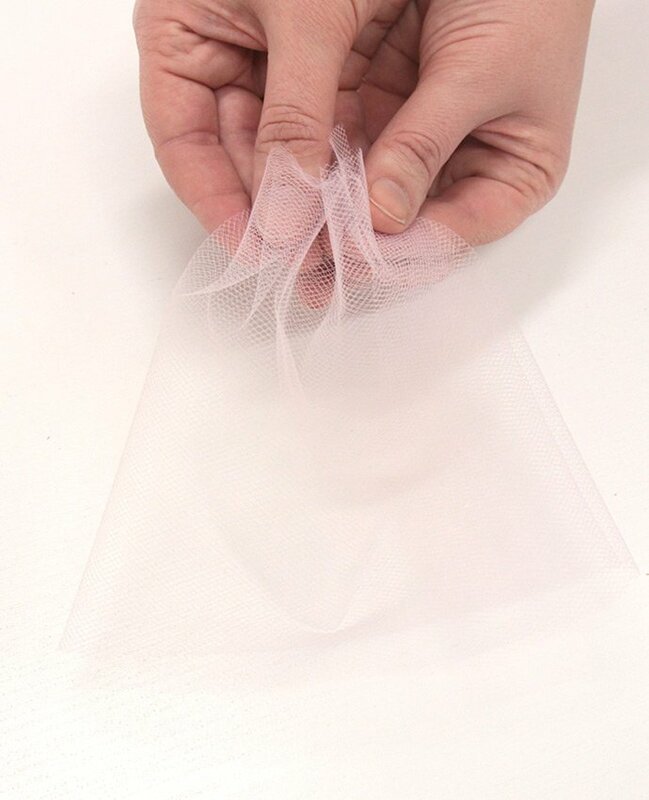 Staple on the tulle skirt and don’t worry, the staple will be easy enough to cover up in the next step! 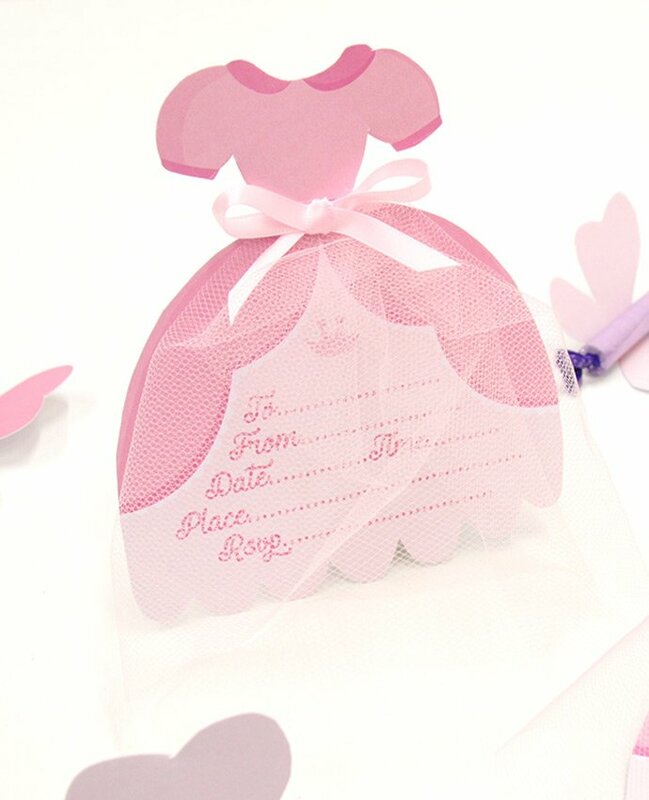 When your tulle skirt is stapled onto your princess invitation it should look like this! 4. 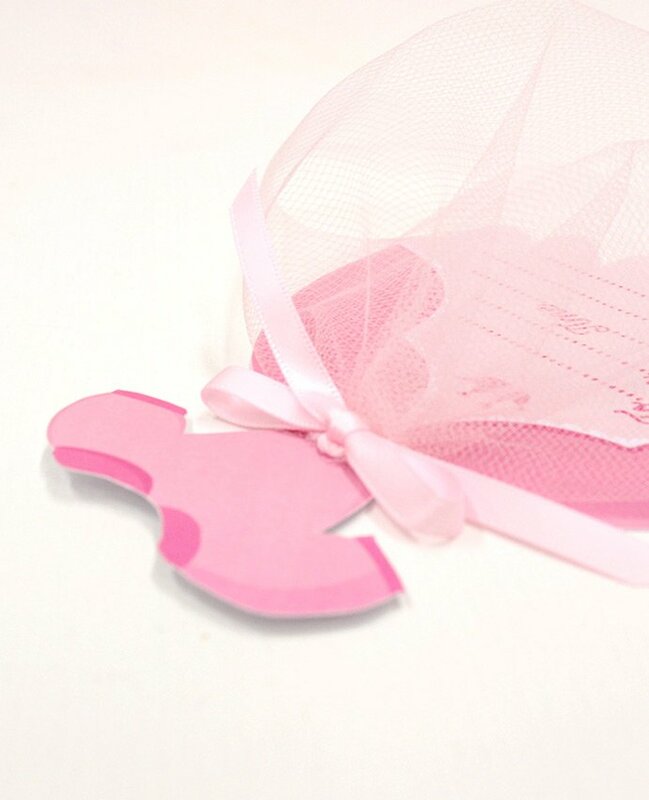 Finally, wrap a short piece of pink ribbon around the middle of the dress and tie it into a bow to hide the staple. And voilà! 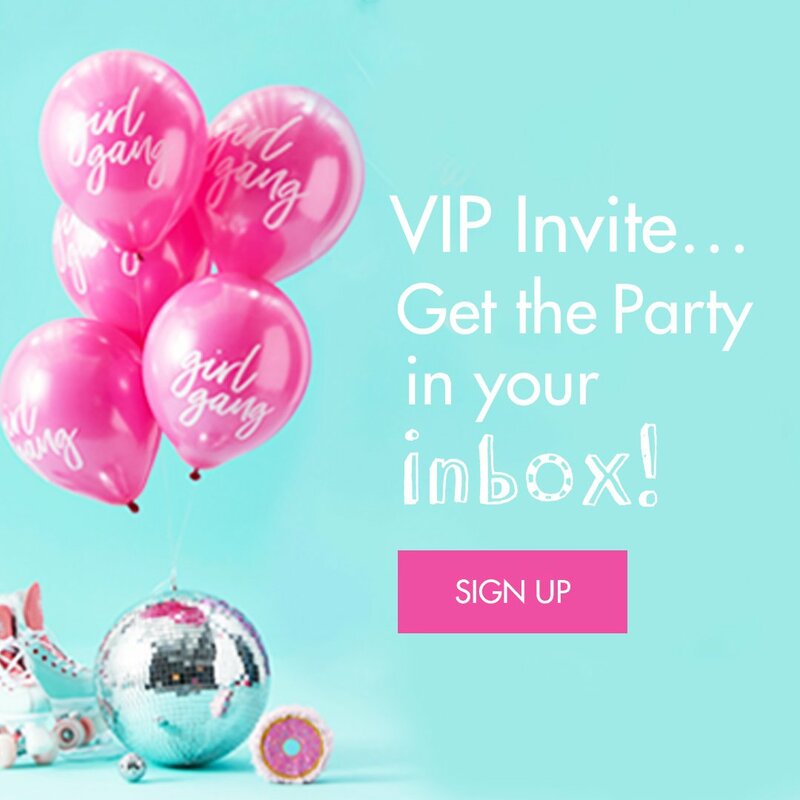 Your DIY princess party invitations are finished! 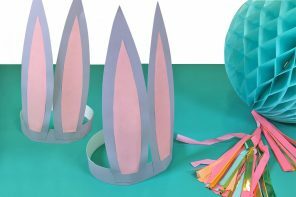 Wouldn’t they go beautifully with our Woodland Princess party supplies? 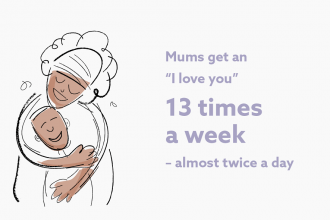 Let us know if you have a go at making them yourself! 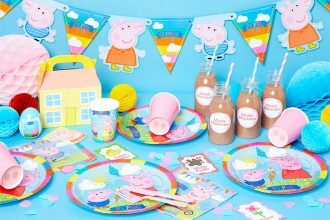 Start planning your own princess party with our full range of princess party supplies or if you want more princess party ideas, stay on our blog!